Our client was looking for a simple, natural outdoor space to include a gas fire pit, pergola, flagstone patio and stone steps. The client asked for a design with lines. They also wanted to leave space for to build a pool off the upper patio in the future. 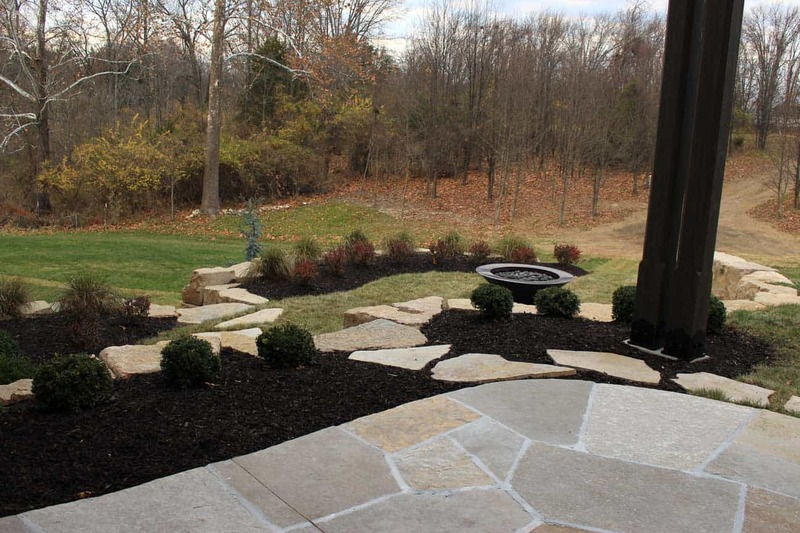 The challenge was where to locate the fire pit because of the elevation changes between the upper and lower patios. 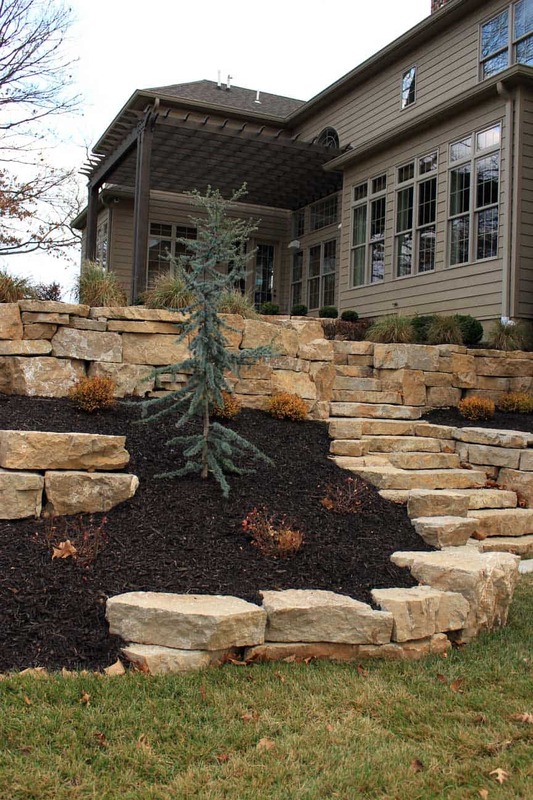 To solve this challenge, we designed a backyard space which included a series of terraced stone walls with a flat area for the fire pit. 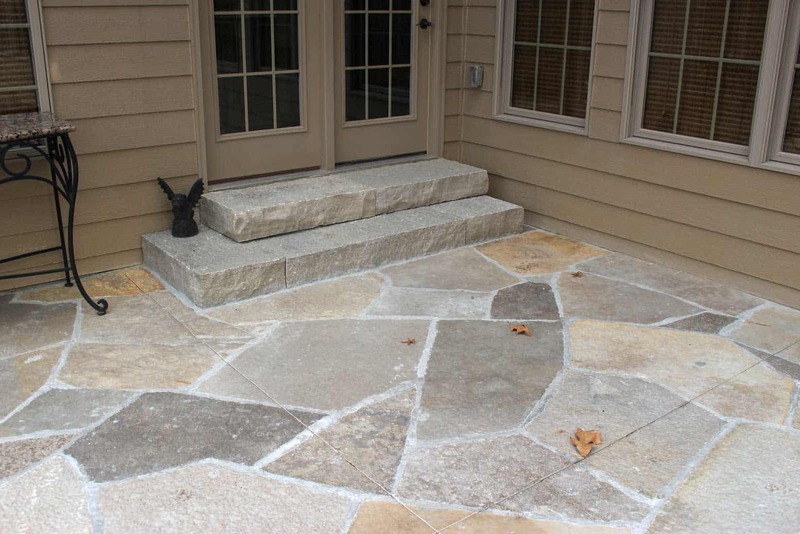 Our design solution also included a comfortable and convenient, natural stone step pathway to connect the three levels. We gave the clients a flat area large enough to comfortably pull chairs all the way around the fire pit. 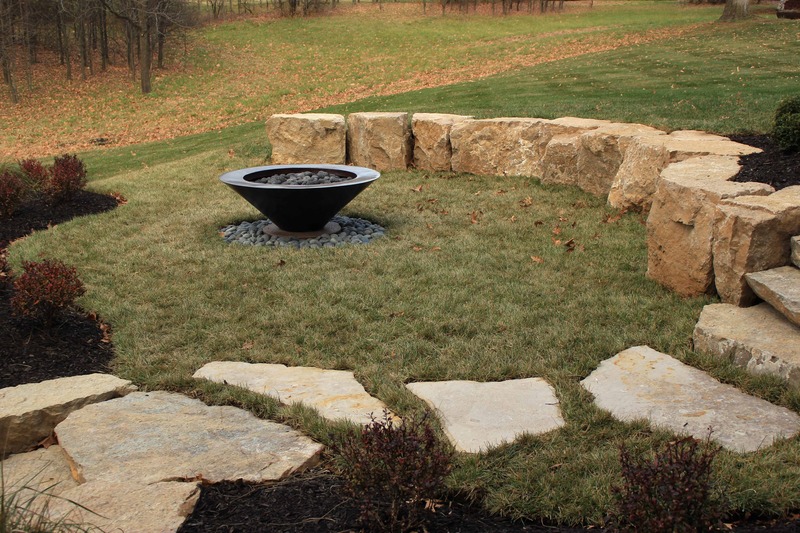 During the design process, we suggested several styles of fire pits, from rectangular masonry stone to round masonry stone to the copper bowl which was eventually selected for its contemporary feel. For the finishing touch, deer resistant plant material was arranged in a clean line. 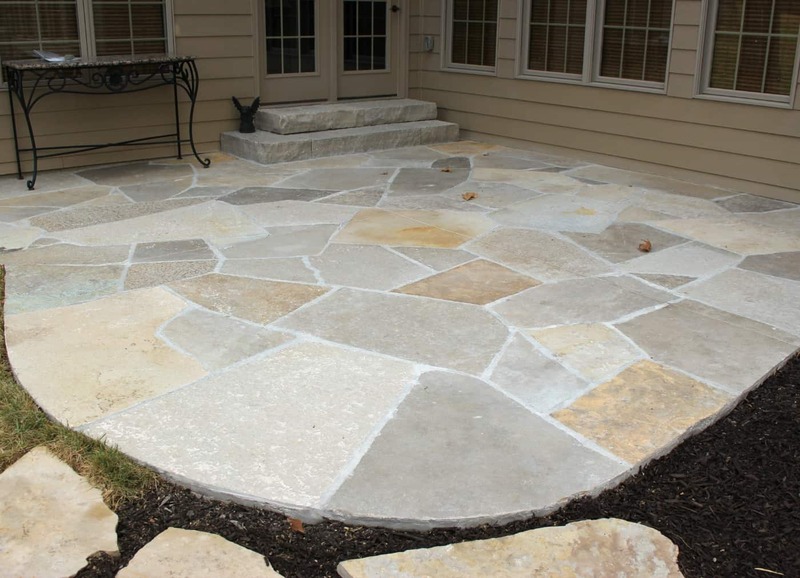 After the design was complete and approved, we worked with the client to select the perfect boulders, natural stone step and flagstone material. After the material selection was complete, Passiglia’s began construction. 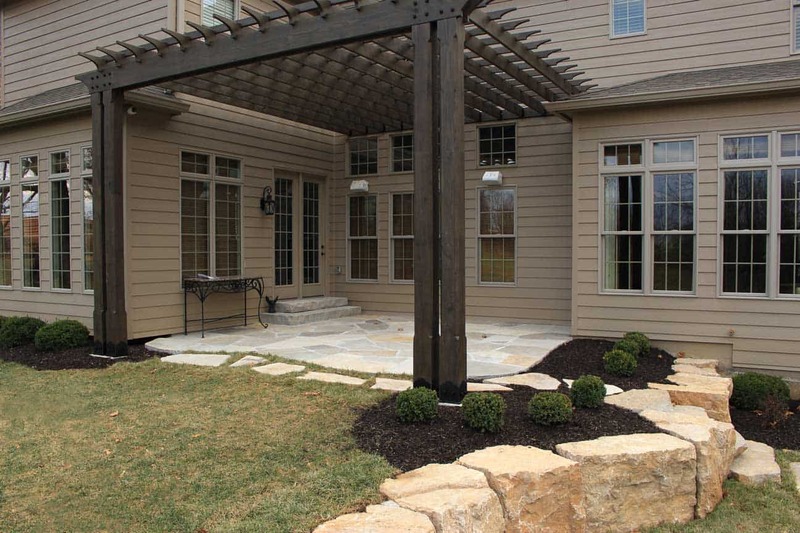 During the construction process, we worked with the client to make any needed changes on project and plant material, ensuring the landscape matched their vision.